Regulating e-cigarettes: read all about it! Professor Emeritus Simon Chapman is a curious chap…. Having signed aboard a team of academics commissioned at considerable cost by the federal government to review the regulation of e-cigarettes and related policy, and co-author of a related discussion paper circulated to a select few, he leapt into print this month to state his views on what that regulation should be, and take aim at respected public health and tobacco control experts and agencies who happen to have a different world view to his. E-Cigarettes: A Time Bomb? Really? First, let me be absolutely, 110% crystal bloody clear. I do not care which method of cessation you choose. I do not care if you are smoke free through one method or another. I do not care if you smoke. I do not care if you vape. Whatever choice you make is yours and yours alone. 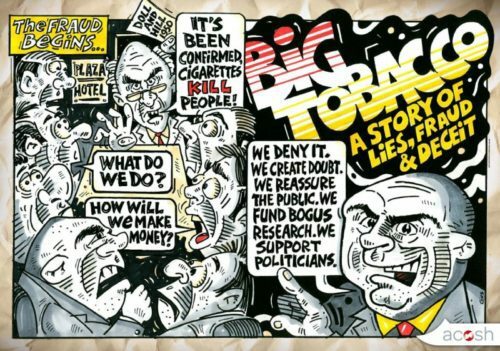 As the Government rolls out its plan for tobacco plain packaging, Newshub can reveal it is also eyeing up legalising nicotine e-cigarettes. Senior ministers want to make tobacco alternatives vaping and e-cigarettes legal in New Zealand. Currently if the products contain nicotine or claim to help people give up smoking, they are illegal. Julie Girling and Vicky Ford have today written to EU Research, Science and Innovation Commissioner Carlos Moedas asking him to examine the latest evidence on the health effects of vaping and whether it can help long term smokers give up traditional cigarettes. Marewa Glover share her opinion with Liam Butler on the evidence surrounding e-cigarettes and consumers trying to quit who manage memory loss. Reynolds American Inc. is not taking a gloomy approach to the recent disclosure of final federal regulations on innovative tobacco and nicotine products. Instead, executives expressed confidence recently to investors and analysts that they can work with the Food and Drug Administration in achieving a common goal of reducing harm from consuming those products. Electronic cigarettes are lawful and their nicotine liquid can legally be imported via the internet for personal use. But it is illegal to sell the so-called “e-juice” – which produces a nicotine vapour when heated in the battery-powered devices – until the product is approved as a quit-smoking medicine. This channel will feature vapers from around the world who have quit smoking by using an e-cigarette, and now want to pass on information and advice to smokers who are thinking about using an e-cigarette to help them quit smoking. The New Nicotine Alliance UK (NNA UK) and the Electronic Cigarette Industry Trade Association (ECITA) separately complained to the Advertising Standards Authority on the grounds that the claim that “Some contain nicotine and other chemicals that can cause addiction” was misleading and could not be substantiated, and the assertion that “We still don’t know enough about the health risks of e-cigs. So don’t take the risk” was irresponsible, because it might encourage smokers to continue smoking. Newcastle researcher Billie Bonevski will examine whether electronic cigarettes can help smokers quit in a $200,000 pilot study for the Victorian health department. The study, which will be carried out at Melbourne’s Turning Point treatment centre, will focus on people entering drug and alcohol treatment, who are five times more likely to smoke.